A newly developing axis of two Asian giants is changing the world order. We have been forecasting the development of this unlikely partnership for over half a century. A new axis has formed on the world scene. It is so colossal, the planet could almost spin on it. The Trumpet and its predecessor magazine, the Plain Truth, have forecast the formation of this axis for more than five decades. Now the world is catching on to this undeniable trend and realizing its massive implications. For over half a century the Trumpet and Plain Truth have been watching for this seismic geopolitical event. 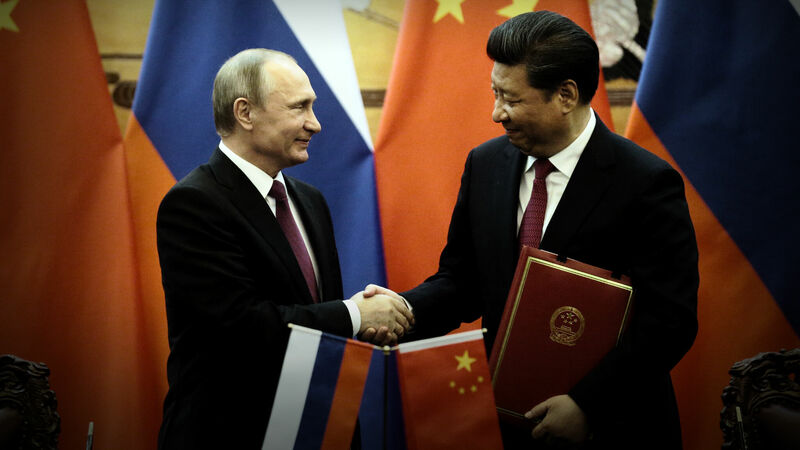 We have been expecting Russia and China to partner up because Bible prophecy says that in the “time of the end,” the Russia-China axis will lead an Asian military bloc that fields an army larger—by orders of magnitude—than any the world has ever seen. The scriptures say this Asian bloc will play a central role in nuclear World War iii, a conflict just on the horizon that will be more devastating than any mankind has ever suffered. The fact that the Russia-China axis has now suddenly arrived means the fulfillment of these Bible prophecies is astonishingly near. Part of what makes the modern Russia-China partnership so significant is that it contrasts starkly with their recent history of conflict. Back in the 1950s, China and what was then the Soviet Union began disputing their shared border and bickering about “which shade of red” was the correct one for communism. In 1969, these disputes erupted into bloody war. The conflict became so serious it threatened to spark a nuclear altercation. The nuclear button was never pressed. But more than two decades of mutual bitterness followed. Yet even during that time of conflict and distrust between Russia and China, one analyst repeatedly forecast that the two would form a partnership. Even during those early Cold War years, when the only interactions between the Russian bear and the Chinese dragon were arguments about how to correctly implement Communist policies, this lone pundit said Moscow and Beijing would lay aside their differences and enter an era of close cooperation. Even after those tensions had exploded into the 1969 border war, prompting Russia and China to sever relations for decades, this maverick forecaster held tenaciously to his prediction. The analyst was Herbert W. Armstrong, editor in chief of the Plain Truth newsmagazine. Mr. Armstrong first wrote about the Russia-China axis as far back as the June-July 1934 issue of the Plain Truth, one of its earliest editions: “[T]wo great military powers [will] arise in the last days—one the revival of the Roman Empire by a federation of 10 nations in the territory of the ancient Roman Empire; the other … Russia, with her allies … possibly China or Japan,” he wrote. These are just a few of the dozens of statements that Mr. Armstrong and his newsmagazine made from 1934 until his death in 1986, predicting that Russia and China would go from contenders to comrades. At the time of Mr. Armstrong’s death, the relationship between Moscow and Beijing remained frosty. But events since then—especially in the last decade—have proved that Mr. Armstrong’s unpopular and seemingly far-fetched forecast was actually spot on. How could he have predicted the reality we now see with such accuracy? The reason Mr. Armstrong could see what other observers and forecasters at the time were blind to is that his main intelligence source was unlike those of other analysts. It was the sure word of Bible prophecy. His reliance on Scripture enabled Mr. Armstrong to prophesy of events from afar which are now coming to pass. From time to time, news commentators—in describing the coming catastrophic military struggle for world control—use the biblical expression Armageddon found in Revelation 16:16. But what they do not mention is a striking prophecy about “Armageddon” found in Revelation 16:12. In this verse we read that “the way of the kings of the east” is to be prepared! Who are these “kings of the east”? Their identities are critical to know if we are to understand many of the Bible’s prophecies intended for our day. After the great Flood, God told Noah and his family to go and replenish the Earth (Genesis 8:15-18). Noah had three sons: Shem, Ham and Japheth. Each son was the beginning of a separate race. Shem was the father of the white peoples, Ham of the black peoples and Japheth of the yellow peoples. Mr. Armstrong explained in his magnum opus Mystery of the Ages that this was accomplished by Ham marrying a black woman, and Japheth marrying a yellow woman. There is general agreement among students of prophecy that “Gog” in the land of “Magog” is the vast regions of northern Eurasia extending from the Baltic to the Pacific [modern Russia and China]. “Meshech” is Moscow; “Tubal” is Tobolsk. The Bible margin says “prince of Rosh,” which is Russia. Chapter 38 of Ezekiel shows that Russia will be the lead nation in the end-time Asian power bloc. It is also vital to note the plural “kings” in the Revelation 16:12 mention of the “kings of the east.” This differentiates the Asian coalition from the “king of the north” and the “king of the south,” which are also prophesied to arise in the end time (Daniel 11:40). When the plural is placed alongside Ezekiel 38:2, it becomes clear that although Moscow will be at the head of the bloc, Russia will be dependent on its alliance with other Asian countries—one in particular that is far more populous: China. This verse shows that this Asian force will have an army of 200 million men! That is an army far larger than any the world has ever seen, and far larger than modern Russia with its total population of 144 million could field on its own. It is more people than were even alive on all of Earth when John wrote this prophecy! This number makes clear that this is an end-time prophecy that could only be fulfilled in this modern era of explosive population growth. It is a prophecy we are certain to see fulfilled very soon. With his understanding of these details of Scripture and of the ancient names that Bible prophecy gives to modern Asian nations, Mr. Armstrong was able to accurately forecast that Russia and China would set aside their differences and form an alliance. Right up until his death in 1986, he was still forecasting that these two nations would build a history-altering partnership. And the Trumpet has continued where Mr. Armstrong left off. We use the same Bible scriptures he used to continue watching Putin’s Russia and Xi’s China as they work in lockstep to reshape the global order. We Must Keep Watching the Russia-China Axis! Russia’s attack on Georgia in August marks the beginning of a dangerous new era in history. This was the first military strike of a rising Asian superpower—and there will be more! … Will a crisis occur over Ukraine? That area is the breadbasket of Russia, and surely it is willing to wage war over that as well. Time proved that forecast strikingly accurate. In 2014, Putin’s forces covertly invaded Ukraine’s Crimean Peninsula and stealthily grafted it into Mother Russia. And while the West and most of the world gave Russia the cold shoulder for its expansionist actions, one nation made clear that it supported Moscow’s moves: China! And at the time of the end shall the king of the south [this is a radical Islamic Middle Eastern power, led by Iran] push at him: and the king of the north [a revived European Holy Roman Empire, led by Germany] shall come against him like a whirlwind, with chariots, and with horsemen, and with many ships; and he shall enter into the countries, and shall overflow and pass over. He shall enter also into the glorious land, and many countries shall be overthrown …. But tidings out of the east and out of the north shall trouble him: therefore he shall go forth with great fury to destroy, and utterly to make away many. The head of a revived Holy Roman Empire will hear troubling tidings from the east and north. These tidings reach him after the “king of the south” has been destroyed, and they come from the Asian axis, led by Russia and China! The Holy Roman emperor will be disturbed about what the Russians and Chinese are doing or threatening to do with their staggering military might. Russian Yars RS-24 intercontinental ballistic missile systems move through Red Square in Moscow on May 9, 2017. Before this, when the Great Tribulation first begins, this European power will have been cooperating with the Russian-led Asian axis to besiege the Anglo-Saxon nations economically. But perhaps the Europeans hear rumors that the Asian axis is planning to invade North America and conquer it for its own. Whatever the exact “tidings” turn out to be, the Bible is clear that news about the prophesied Russian-led Asian axis will provoke the European power to “go forth with great fury to destroy”! This is describing a nuclear World War iii. The scriptures say this coming war will be a time of unprecedented destruction and devastation, fought with weapons that have the potential to kill every human being alive (Daniel 12:1; Matthew 24:21-22). It is because of these vitally important Bible passages that the Trumpet continues where Mr. Armstrong left off, vigilantly watching and reporting on the burgeoning Russia-China partnership today. World events today date the Bible’s prophecies. Modern headlines provide a sobering indication of where we are in the overall time frame of end-time prophecies. A Russia-China axis is now on the scene, and you need to know where it is leading. This Oriental power will be able to challenge Europe at a time when nobody else can—including the United States. We should not expect the Russia-China partnership to fade from the headlines. In fact, we should expect the bear and the dragon to forge ever closer ties with each other and with other Asian nations. On July 4, 2017, when Chinese President Xi Jinping shook hands with Russian President Vladimir Putin in Moscow and said relations between their two nations were at their “best time in history,” he was not overstating the bond. And we should expect the two to become increasingly influential in global affairs and ever more militarily capable and aggressive. In the near term, this trend points to a dark and violent future. But the Bible makes clear that World War iii will be cut short! Before humankind detonates enough nuclear weapons to annihilate all people, Jesus Christ will interrupt the conflict. He will usher in a new age of peace and prosperity. This is the best imaginable news. Christ will rule Earth as King of kings and Lord of lords. He will usher in an epoch of worldwide peace for the peoples of Russia and China and all the nations of the world. Understanding how near that radiant future is can give us perspective that fills us with hope! America’s status as the world’s lone superpower is rapidly fading. Other nations and groups of nations are angling to fill the void. Rising in the East is an emerging power bloc of tremendous potential—in manpower, economic heft and military might. Its growing presence is intensifying global competition for resources and for geopolitical influence. There are two great nations at the head of this Asian alliance: Russia and China. Other Asian nations are recognizing the tremendous pressure to join with this alliance to secure their future. You need to understand where this trend is leading, and the Bible provides that understanding. 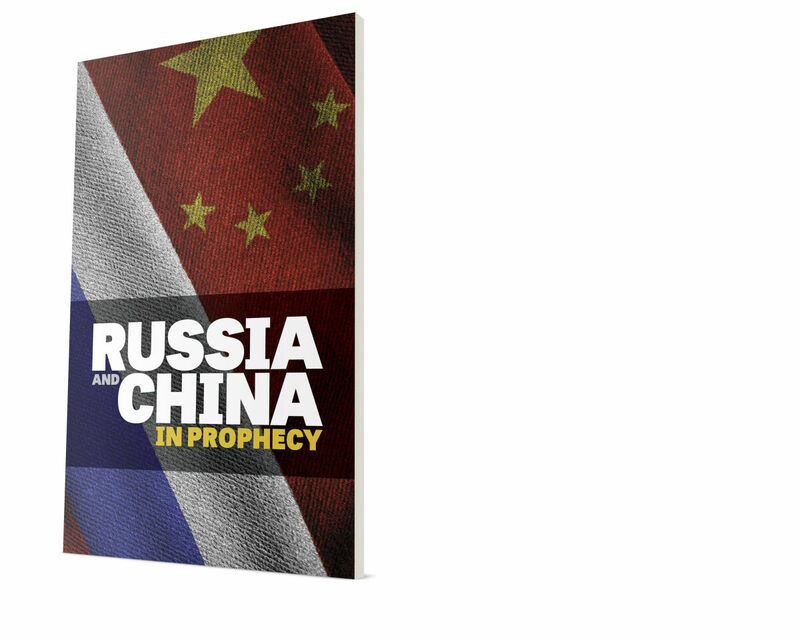 To learn more about its prophecies for this region, request a free copy of Russia and China in Prophecy.